The phrase "gnawing realization," but a whole book. Oh goodness. This book aches, and breaks you a bit. The entire book is a personification of that feeling (that comes upon you slowly and then suddenly you realize has crescendoed to a point that is nearly unbearable) when you think you know someone well and then become aware there was this whole other secret world percolating underneath them all along that you knew nothing of. It’s the phrase “gnawing realization,” but a whole book. 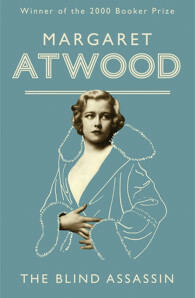 Atwood gives us layers upon layers of this — we learn new truths about the narrator, and she learns new truths about those in her life, and things keep rustling away from the top of those truths in ways that are partially lovely in their honesty but mostly just hurt.